To change settings of the Fonts in Windows-7, please open "Windows Color and Appearance". Rundll32 shell32.dll,Control_RunDLL desk.cpl,,5 (see Image-1) and press ENTER. See also: ... FontViewOK for a quick visual overview of all installed font! Windows-7 - FAQ-55: How to change or set Windows 7 default font settings to bold, italic? change font default on seven? bolded text on pc how to shut it off? How to change desktop fonts on windows ultimate? font setting in windows 7? how do i get aero font bold on windows 7 home edition? Changing recycle bin font windows 7? Default fonts set windows 7 64 bits? Change recycle bin font windows 7? Windows 7 menus en italique? Bold font size on windows explorer? How to get fonts bolder in Win7? Removing italic front in windows 7? How to change font universally windows vista? windows 7 bold font menus? Change desktop font windows 7? Windows 7 starter default font? Win 7 home premium change fonts bold? Turn font in windows 7? Change window 7 to Italics, how to apply default font windows 7? Fonts in windows 7 is bold and italic, how to remove? How do you change text settings for window 7 ultimate? Windows 7 replace default folders with icon? How to embolden menu bar on windows 7 professional? Why is everything bold in windows XP task manager? windows 7 make all font bold? Default system font windows 7? MY default font in win7 is italic? How to get windows 7 in italics? How to change starting window 7 logo? Why everything turned into bold style font in desktop? change to bold font in windows 7 starter? Font icon desktop italic windows 7 64 bit? Windows 7 system bold font settings? How to setting default font on windows seven home premium? Italic font windows 7 explorer? How to remove windows 7 italic fonts, why my text select is bold? in window 7? Windows 7 default italics, my fonts have all gone bold? How can i adjust my desktop shortcut fonts on win7 ultimate 64bit? Can the Windows 7 desktop font be bold, how to change italic default to? Italic font settings in windows 7? How to turn bold and intalics off for vista? How to change text bold for windows 7? Windows 7 desktop font italic? Windows 7 bold font settings? Default fonts on win 7 task windows? Change windows 7 professional default font? How to switch off bold for windows 7? Windows 7 shows font bolder that default? how to all computer fonts bold? How to default font of windows 7 is change to bold? How to change bold font in windows 7? How to fix font in windows 7? Change font to italic in windows 7? Set font windows 7, italics on icons on windows 7? How can i change menu fonts to bold in windows 7? What is windows 7 default font desktop? How to change desktop default fonts in win7, how to bold fonts under icon windows 7? I want to adjust my windows 7 font to bold or replace win 7 system font? how to change itallic fonts in desktop or how to change win 7 font to italic? how to delete big bold lettering off my desktop and how to change fonts in win7? how 2 change window fonts in window 7 or all font is set to italic in windows 7? Turn off desktop italics windows 7 and font settings windows 7? Default font for windows 7 or change full text font in computer to italic in windows 7? Italic font in widows 7 menus how to set correct? Change font windows 7 explorer? How to change desktop icon fonts from italic to bold? How do I change my font preferences in Windows 7? Font windows 7 change default font? How to disable italic font in my desktop? How to change desktop font to italic on windows 7? Windows 7 want fonts bold? Bold folder name windows 7? Change icon and font on screen in windows 7? How to get fonts of my windows 7? How to disable bold fonts in windows 7? How to change desktop fonts in win 7? My font has gone bold in windows 7? Windows 7 change font to bold font! How to disable bold font in windows 7! Windows 7 bilgisayar ana fontu? Everything on my desktop is italics in windows 7, stretched fonts in windows 7 professionals? Kenapa font di desktop italic semua, win 7? Want the bold off of my font on my desktop? Default font size changed of taskmanager window? Win 7 change default font? How to switch windows font fast? windows 7 italic setting how to change? Windows 7 icon italic font? How to remove italic font on desktop on windows 7? All my fonts are italic windows 7? How to change desktop fonts in windows 7? Desktop change font windows 7? Font icon desktop italic window 7? How can i set bold font automatic in windows 7? How to change font in windows 7 for task manager? How to change desktop font on windows 7? How to set default font for windows 7? How do i get rid of the italics and bold setting on win7, how to default seting of my desktop windows 7? 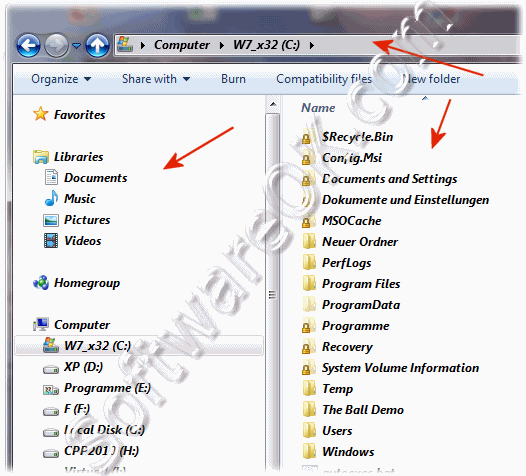 How to change font icon and folder in windows 7, how to change system font on win 7 quick launch? How to change font in windows 7 home premium, how to change the defualt font in windows 7 x64? 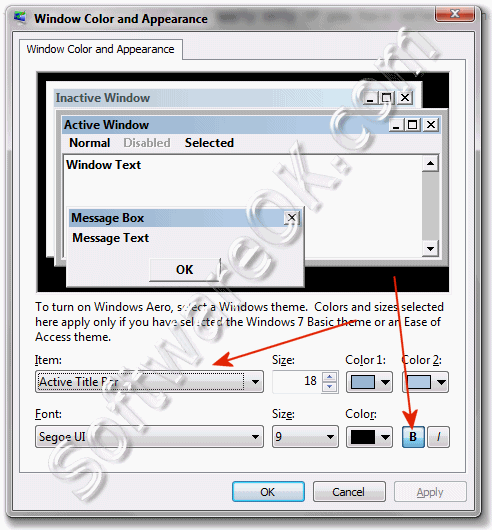 How to disable the bold letters to windows 7, How can change windows font out of italic? How to bold fonts in windows explore, how to change italic font in win 7 professional? Changing windows explorer font windows 7? How to change font size in win 7 bold? How can i use bold fonts automatic in windows 7? How do you change the Font (Bold, Italic, etc.) on windows 7? How to turn off bold in windows?